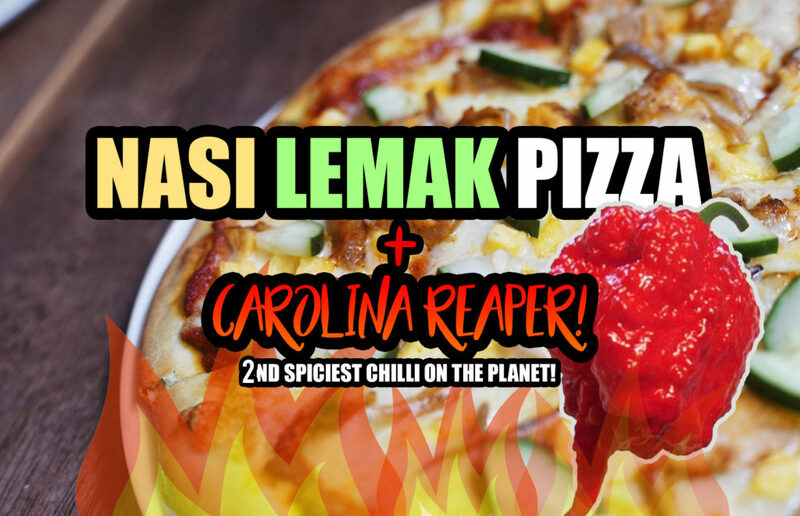 Depizza’s Nasi Lemak Pizza Served With Carolina Reaper! Nasi lemak is a dish that comprises rice made fragrant with coconut cream and pandan leaves. 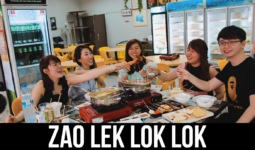 A light meal that is believed to be Malay in origin, a delicacy loved by most Singaporeans. But maybe, eating the same old combination of coconut-flavoured and pandan-scented , cucumber, and hard-boiled egg can get pretty boring after a while. 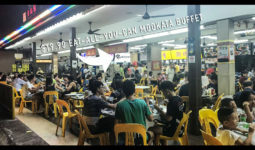 So F&Bs decided to innovate; Last year, McDonald’s got everyone around the island queueing up for its nasi lemak burger. And then recently we have the nasi lemak curry puffs by Old Chang Kee — the experimental nasi lemak hype is still very much real! 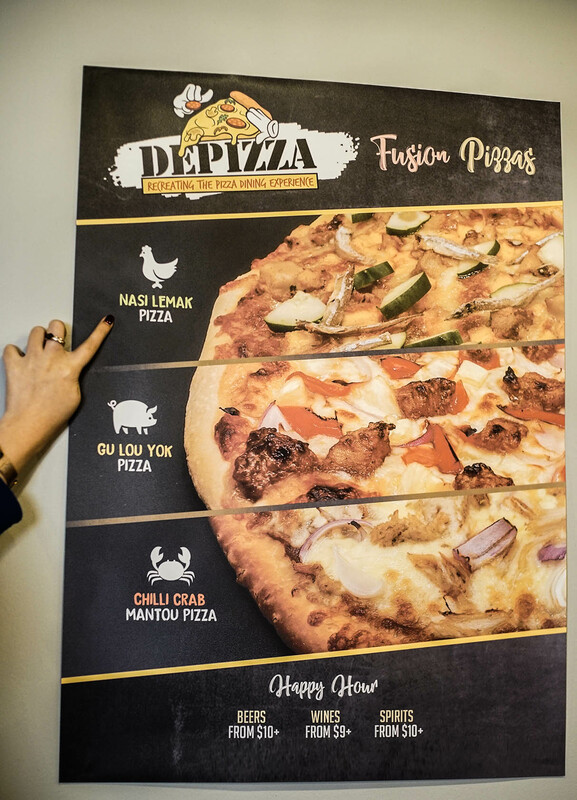 Forget about pepperoni and Hawaiian style, nasi lemak has morphed itself into a delectable pizza! 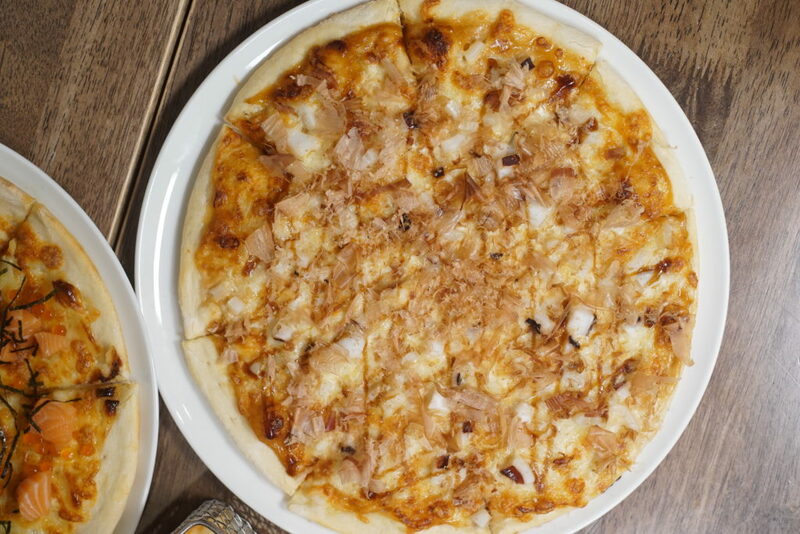 This Italian Asian fusion dish truly captures the essence of nasi lemak, the crust is infused with coconut cream & the base was delicately sweet and fragrant. The toppings consist of chicken, ikan billis, fried egg, cucumber & sambal, oh boy this is good stuff! 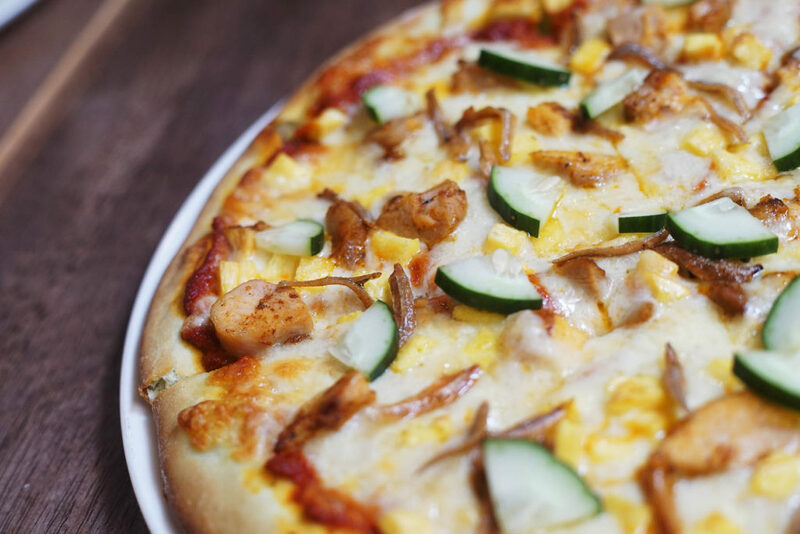 Did we mention there are cheese too? 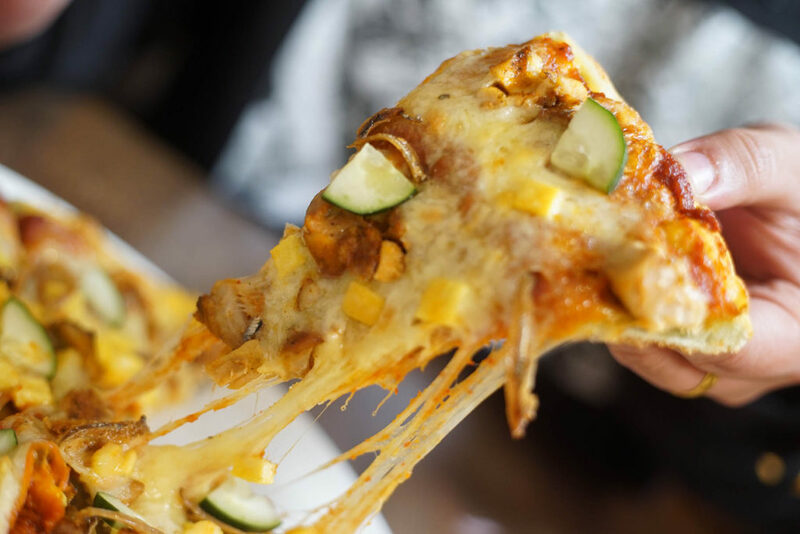 Look at that cheese pull! 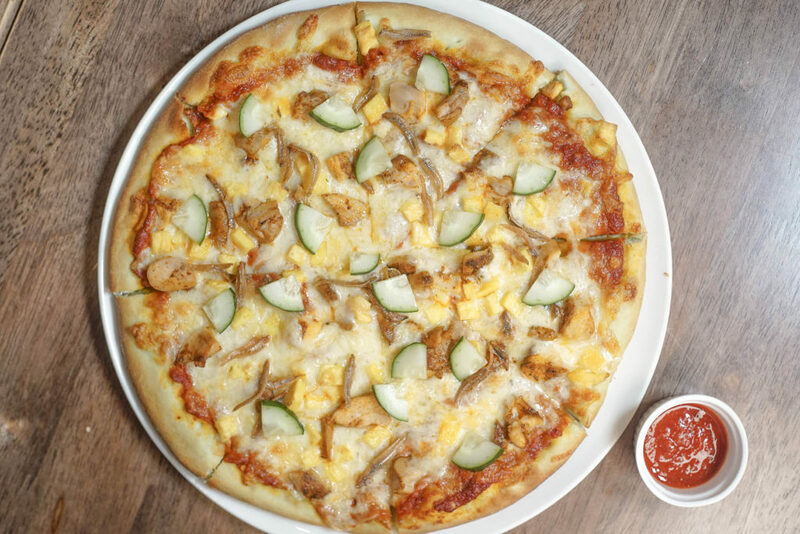 How about pairing the Nasi Lemak Pizza with something REALLY SPICY? This devil chilli is definitely not for the faint hearted! 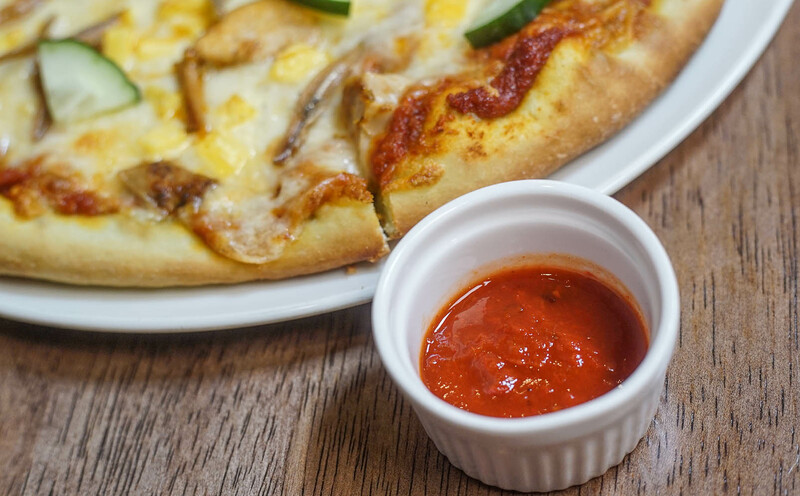 Just one tiny dip of the chilli sauce with a slice of pizza should be enough for you to feel the “kick” of a chilli padi. 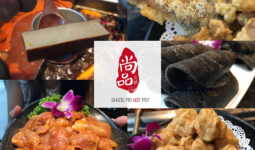 Dip a little bit more and you will experience heat level equivalent of the “2 x Korean Spicy Noodles”. Don’t ever go further than a teaspoon of the Carolina Reaper Sauce when pairing it with a slice of pizza. You have been warned! 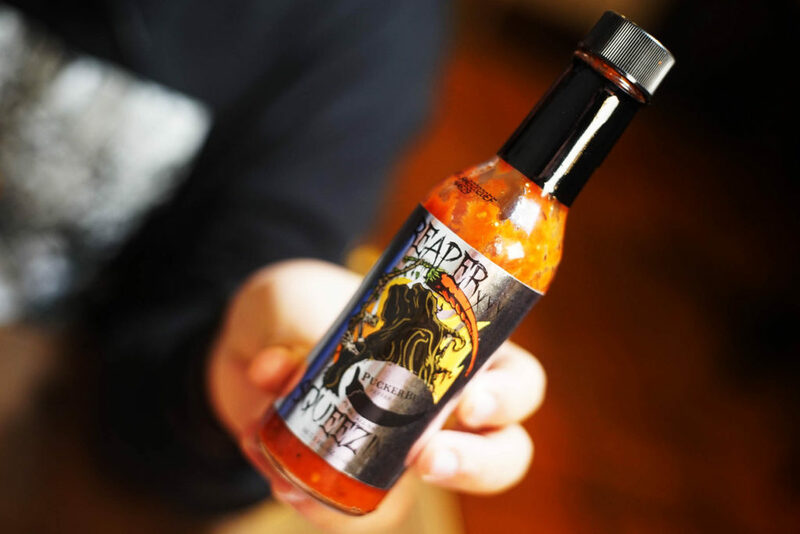 The Carolina Reaper, originally named the HP22B, is a cultivar of the Capsicum chinense plant. The pepper is red and gnarled, with a small pointed tail. In 2013, Guinness World Records dubbed it the hottest chili in the world. And right now it’s ranked 2nd Spiciest Chilli on the entire planet. 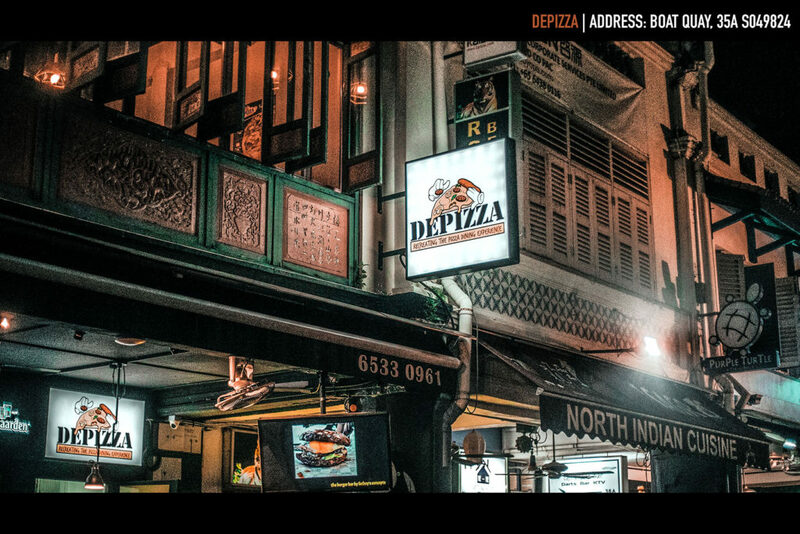 So that was the Nasi Lemak Pizza, and Depizza offers so much more than that! 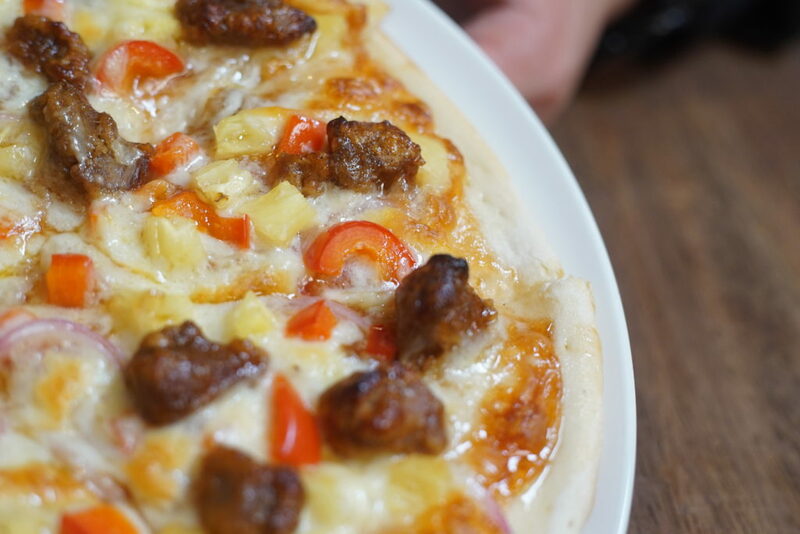 Another interesting dish would be the Gu Lou Yok Pizza! In case if you’re wondering, Gu Lou Yok is actually Sweet and Sour Pork. 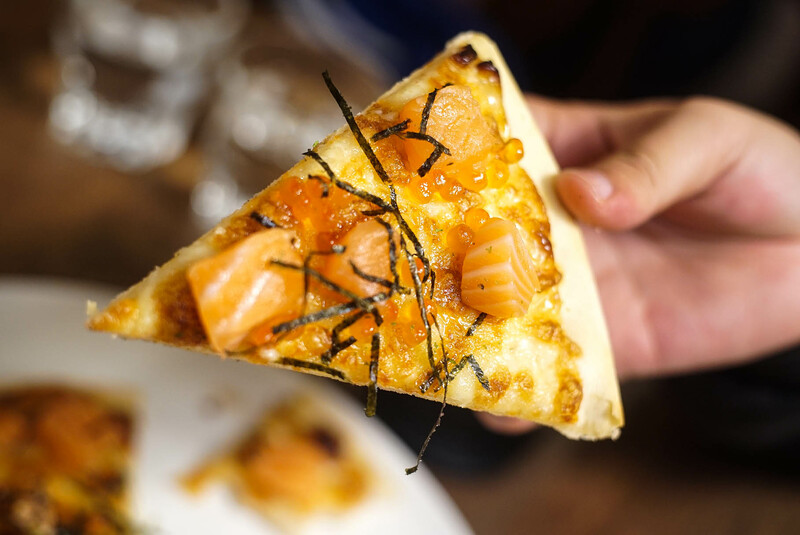 It is a common dish in local zichar. Too fuse this dish with pizza? 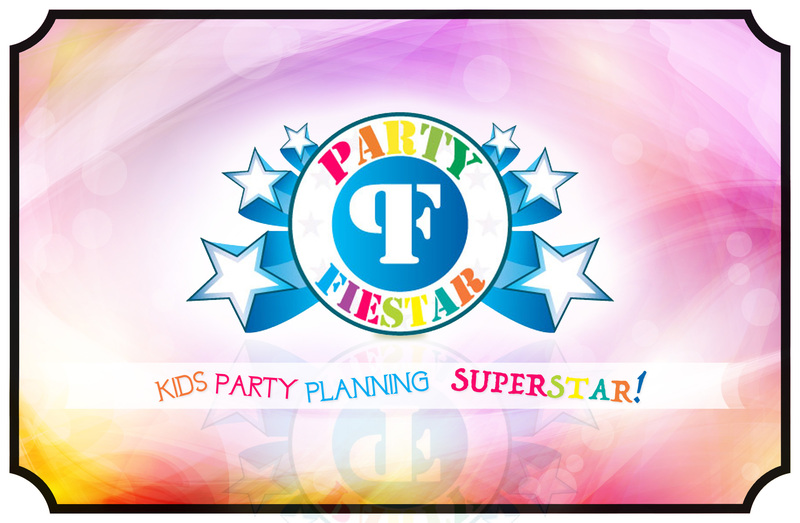 A bold innovation! 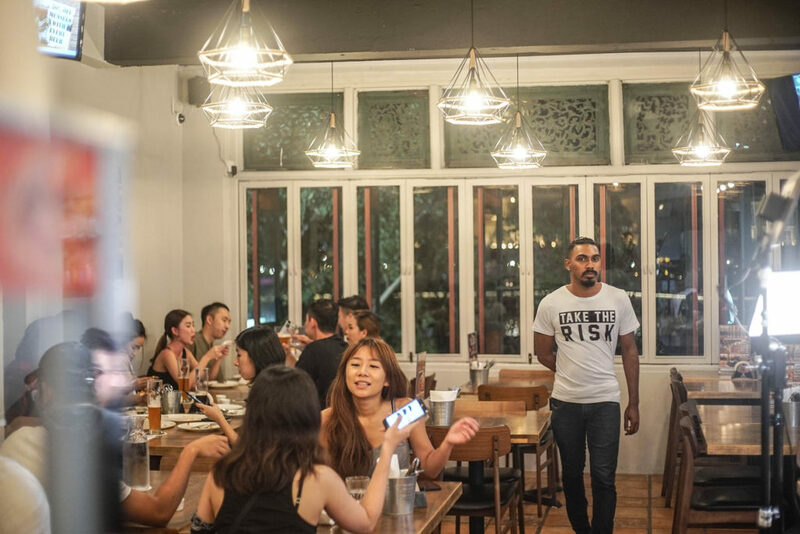 It is a great chill-out place along boat quay, where you can sit down, have a glass of beer, eat some pizza, and catch up with friends.